Richard Branson has bought Pluto and intends to have it reinstated as a planet. 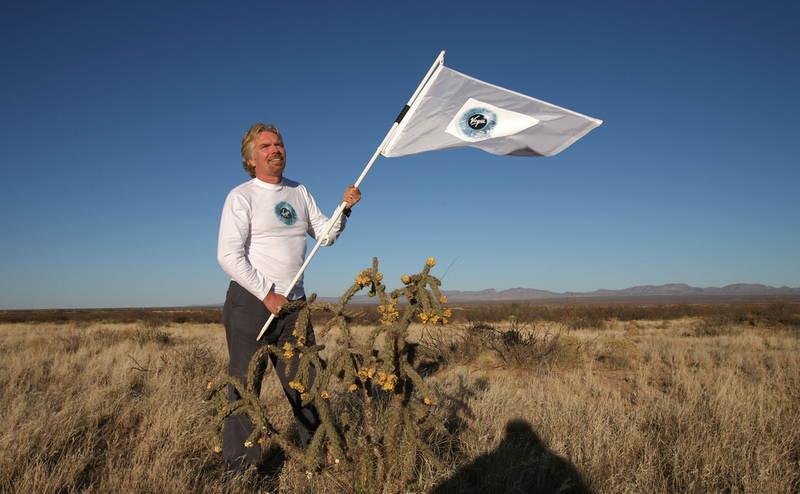 Sir Richard Branson is setting his sights on the final frontier in his latest business venture announced today. In a universal first Sir Richard has revealed that he has bought the former planet of Pluto for an undisclosed sum. As a firm supporter of small businesses Sir Richard is hoping to set an example for struggling entrepreneurs facing setbacks by having Pluto reinstated as an official planet, after its declassification by the International Astronomical Union in 1996. Already at the forefront of space travel with Virgin Galactic, Sir Richard is having a special deep space vehicle built that will help bulk up Pluto to its required planetary mass. Sir Richard Branson said: "Virgin has expanded into many territories over the years, but we have never had our own planet before. This could pave the way for a new age in space tourism." Virgin rocket scientist Professor Chelovek Protaprilia added: "The vehicle has a special harness to collect asteroids and space debris, which it will drag into Plutos gravitational field, increasing the planets mass." The mission, which is due for launch on April 1 2012, is due to take five years and, if successful, will lead to the first ever part human-created planet.